Brandon Stanton, the street photographer behind “Humans of New York,” has a beef with DKNY.He claims that the company is using his photos without his permission. “Several months ago, I was approached by a representative of DKNY who asked to purchase 300 of my photos to hang in their store windows ‘around the world,'” explained Stanton in a Facebook post. He said that DKNY offered him $15,000 for the photos, but when he asked for a higher fee, he was rebuffed. He wants DKNY to donate $100,000 on his behalf to the YMCA in Bed-Stuy. DKNY has posted a response to Stanton’s accusations. It says that the store in Bangkok made a mistake and used an internal mockup that had used Stanton’s photos. Since its founding in 1989, DKNY has been inspired by and incorporated authentic New York into its imagery. For our Spring 2013 store window visuals we decided to celebrate the city that is in our name by showcasing “Only in NYC” images. We have immense respect for Brandon Stanton aka Humans of New York and approached him to work with us on this visual program. He declined to participate in the project. For the Spring 2013 windows program, we licensed and paid for photos from established photography service providers. 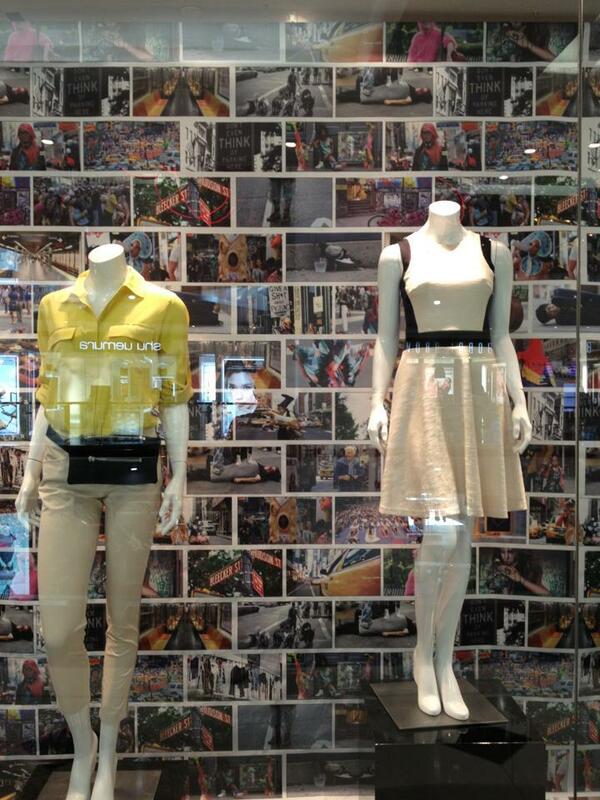 However, it appears that inadvertently the store in Bangkok used an internal mock up containing some of Mr. Stanton’s images that was intended to merely show the direction of the spring visual program. We apologise for this error and are working to ensure that only the approved artwork is used.